Obituary for Jeannine Smith Clark | McGuire Funeral Service, Inc. The Honorable Jeannine Smith Clark departed this life on the eve of her 90th birthday. 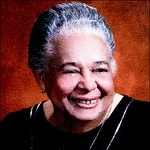 She was the second of seven daughters of the late J. Archibald and Lorena Jackson Smith and a member of the fifth generation of this family born in the District of Columbia. Her husband of 64 years, Charles H. Clark, M.D., died in 2015. She is survived by family, many friends and colleagues.